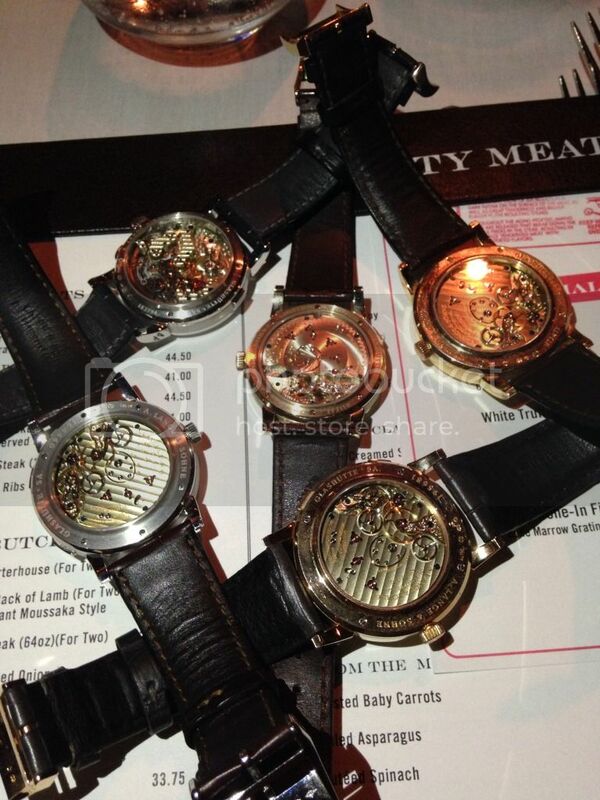 A few of us NY Lange enthusiasts joined up earlier tonight. 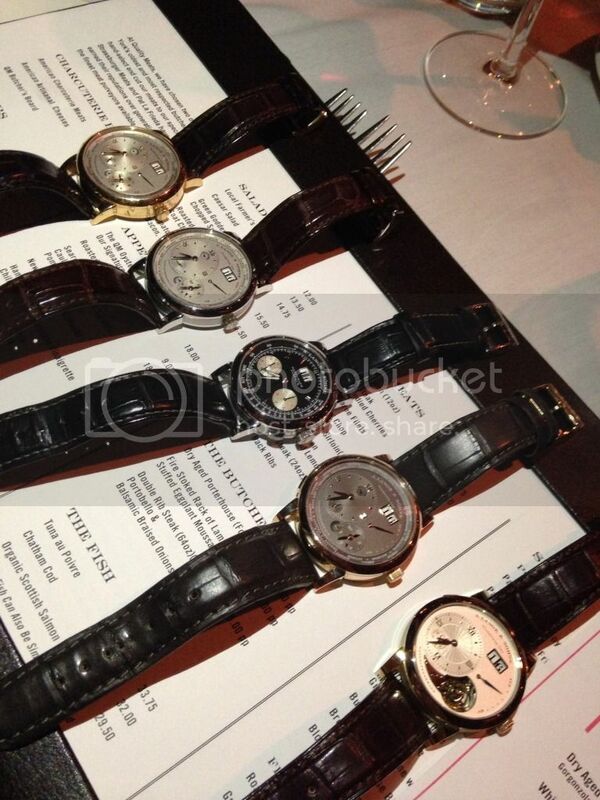 Of course I had to take some quick pics of the watches on hand. 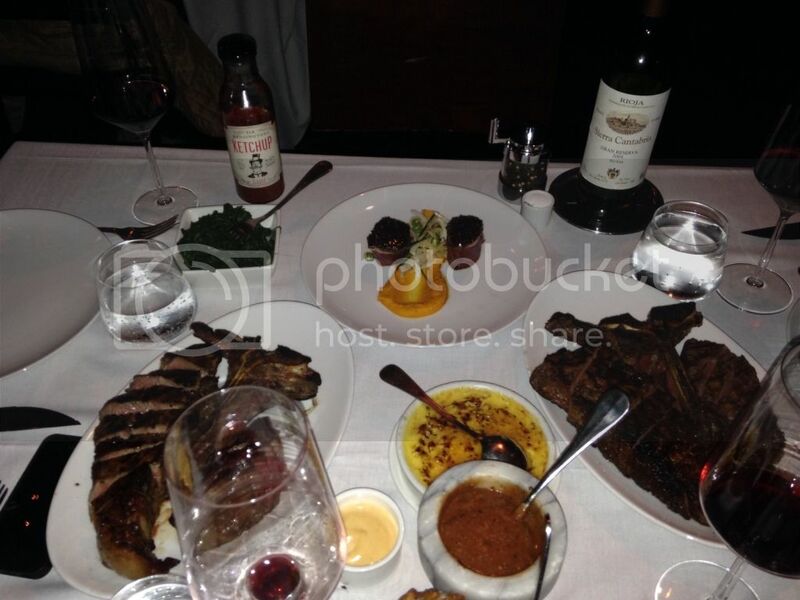 We went to one of my favorite spots in NYC; Quality Meats. If you haven't tried it yet I highly reccomend it. They have an amazing selection of meats and wine. 3 timezones, original datograph and Lange 1 Tourbillon Honey Gold.